What do you look for in a racer? Solid controls? Awesome cars? Unique tracks? Challenge modes? Co-op? Fear not: there is a game that provides all of these things. It just doesn’t happen to be what you’d expect. 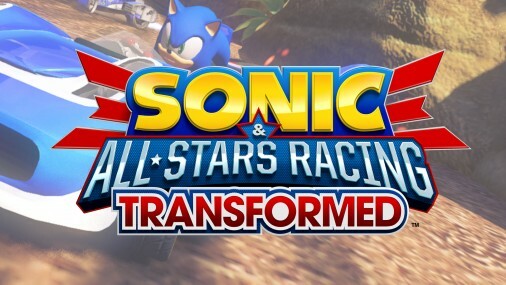 Sonic & All-Stars Racing Transformed (referred to as Racing Transformed from here on), the sequel to 2010’s Sonic & All-Stars Racing, is a game that stands out amongst its other karting peers. It presents itself with a great range of characters, a plethora of unique and dynamic tracks and, most significantly, surprisingly deep gameplay. Although you might not expect it, the game has a huge variety of modes, and a campaign that will last you hours on end. The primary mode, known as ‘World Tour’, intersperses standard races with a variety of challenges, forcing you to improve your skills to progress through the title. Along the way, you’ll unlock more characters, play across every course in the game, and even get to earn XP as part of a rudimentary upgrade system, allowing your characters’ cars to excel in a particular area, such as handling or speed. 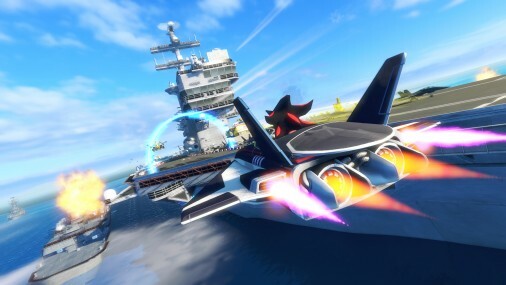 The mode is very entertaining, and adding to this is the inclusion of split-screen multiplayer pretty much anywhere, making these races a lot more fun. The races aren’t perfect, with the steep difficulty curve from Easy to Medium proving very challenging at times, but for the most part they’re great fun. This is largely due to the transforming nature of your vehicles. They will switch from car to plane to boat, all in the same level. Really spicing things up a bit, this makes each lap well and truly unique, preventing anything from ever getting too boring. The tracks dynamically change to allow this to happen: on your second lap of the race, a huge bridge may collapse, forcing you to turn into a boat and use an alternate route to the finish line. All this awesomeness is further aided by the fantastic sound effect your vehicle makes as it transforms: it seriously is wonderful. As you would expect, all three vehicles control brilliantly for the most part: drifting is handled fantastically, and the flight controls are some of the best I’ve ever used. There’s also a guided flight mode, creating an almost on-rails experience: very useful for children, of course! Within races, you’ve also got the usual range of power-ups: drones to blow up the player in front of you, fireworks which will possibly hit your target, and a swarm of bees that only messes with first place. The power-ups are all useful, but none are really that memorable. Despite this, the balance has been hit perfectly: there’s nothing horribly overpowered here, although the character-specific All-Star moves help those in last place to regain a bit of ground. If you’re a bit older than 8, and somewhat of a Sega fan, Racing Transformed should practically sell itself. There are 22 characters and 16 tracks, drawing from Sega’s extensive gaming history: the Sonic franchise makes obvious appearances, but more obscure games such as Panzer Dragoon and Afterburner also have tracks dedicated to them. The tracks have a nice, diverse range to them – there’s something for everyone here. Even though I’m not a huge Sega fan, I still enjoyed playing the different tracks: a perfect mix of shortcuts and quite stunning visuals makes for some rather memorable races. In fact, the graphics in the game are phenomenal, making Mario Kart feel very dated indeed. The in-game music is also a joy to hear: it keeps races tense, whilst still maintaining that all important atmosphere of fun. The character roster of the game also shines: there’s a nice variety to be found there too, and unlocking new characters becomes quite an addictive process. Unfortunately, Sega’s list of first party characters doesn’t even come close to Mario Kart’s, which does make the game suffer slightly. Regardless, all the characters have a really unique design style, and all are fun to play as, despite not being immediately recognizable. The main issue I have with the characters is that they all control very similarly. Unlike in Mario Kart, where you have both light characters and larger, heavier options, here the only real differences are cosmetic changes. The fundamental controls and handling doesn’t change too much from character to character, almost ruining any incentive one would have to switch between different Sega icons. There are slight differences between your options, but nothing that stands out: Mario Kart has certainly got it more right on this front, although I wouldn’t say that Racing Transformed necessarily gets it wrong. You can use all these characters outside of your standard races too, with a variety of mini-games included. These make for some pretty fun multiplayer modes, although you need quite a few players to really take advantage of the game. The modes are entertaining, and I expect the standout will be the game where you must strive to eliminate the other player through power-ups and knocking them off the track. The Wii U version of the game also contains a very fun Monkey Ball mode – possibly making this the definitive version of the game (read my preview of the Wii U version here for more of a look at Wii U specific features). All the multiplayer modes can be played online, although this is hardly recommended. The multiplayer lobbies are all but empty, and finding a game on PSN was a challenge, to say the least (multiplayer was tested after the game was released). Even once a game was found, I was waiting for about three minutes before I could actually play. Whether this a fault of PSN or the game, I do not know, but it was frustrating nevertheless. Unless you have people to play local multiplayer with, I would have to say you should avoid the multiplayer at all: it’s way too time-consuming to actually find and play a game, and by the time you get in the fun is all but gone. 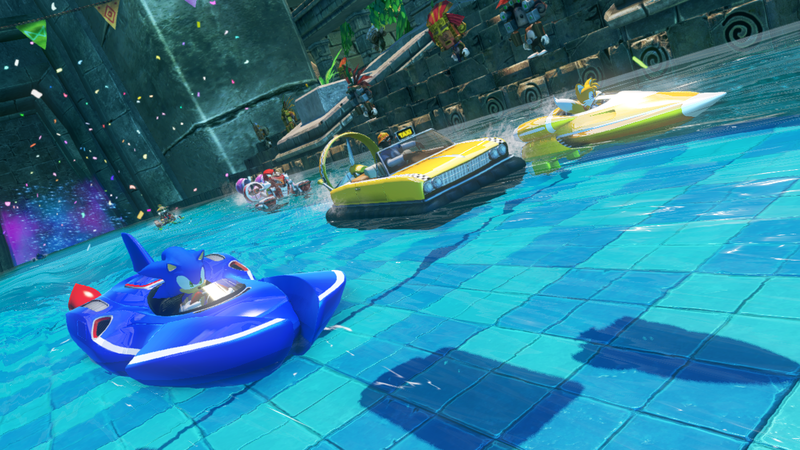 Overall, Sonic & All-Stars Racing Transformed is a truly fantastic title: one of the best karting games in recent times. It appeals to adults and kids alike, exploiting both nostalgia and game mechanics effectively. With an extensive single-player mode and even more fun to be found in local multiplayer, this is not a title you’ll be disappointed with – at least until Mario Kart Wii U inevitably comes out. Sonic & All-Stars Racing Transformed is out now for Xbox 360 and PS3 (reviewed), and comes out for Wii U on November 30th (Wii U version was recently previewed). The game comes out for the 3DS and PS Vita at a yet to be announced date.